Explosix Gear is a Battle Gear. It will be released in Wave 6. 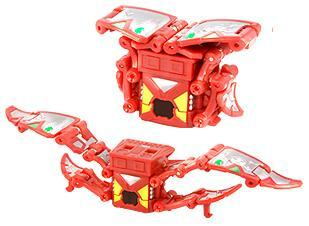 It is Cross Buster's toy form. Cross Buster became Dan's new Battle Gear after Drago evolved into Lumino Dragonoid. It is part of the Battle Cannons group. Cross Buster was introduced in Twin Evil, when Dan and Lumino Dragonoid fought Zenet and Contestir. Purchase your Explosix Battle Gear from Amazon now!